VICOSTONE continuously innovates to provide new and trendy designs with the best quality that exceeds our customers’ expectations. Unique and luxurious, our products strive to meet the most diverse design requirements. 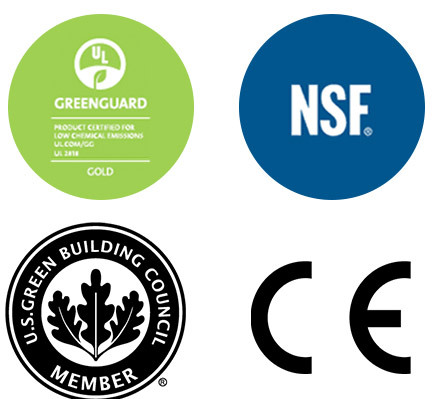 VICOSTONE are certified by NSF for food safety (ANSI 051) and certified by GreenGuard to be free of volatile organic compounds. VICOSTONE are proved to be Microbial Resistant by the world’s reputable organizations, confirming that VICOSTONE are capable of preventing the growth of mold, having an anti-bacterial characteristic, thus completely safe for health of our customers.